Have you ever wondered what’s floating around in the air you breathe? According to the Environmental Protection Agency (EPA) there can be anything from asphalt to aerosol chemicals to pesticides in the air we breathe. Microscopic particles from things like road work, pets, heaters, and smoking stay in the air for extremely long periods of time. Over time these particles can cause a host of health problems much like smoking. True HEPA air purifiers filter many of these pollutants out of the surrounding air, but like all things, it is not quite that simple. Do I Need a HEPA Air Purifier? This question requires a careful answer. Air purifiers labeled as “True HEPA” are subject to strict standards established by the U.S. Department of Energy. True HEPA filters are required to capture 99.97% of particles as small as 0.3 microns. For reference, that’s 6/100 of the width of a human hair. It’s important to recognize that “True HEPA” is the only label subject to DOE standards- other labels such as “HEPA-like”, “HEPA-type”, or “Ultra HEPA” have no minimum standard for particle filtration. With such a possible range of quality, there’s no way to say whether any products with these labels will be a safe and/or effective purchase. Price ranges are also a good indicator- True HEPA air purifiers will usually be more expensive than other labels. Be careful as a True HEPA filter will not affect odors, bacteria, or viruses- we will talk about these filters further down. 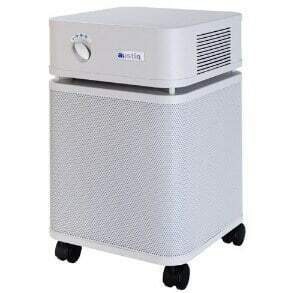 Any True HEPA air purifier is manufactured to meet strict federal standards, meaning it is guaranteed to filter extremely small particles out of the air. Products by any other name will be cheaper, but there’s no guarantee that they’ll work well. Save odors and pathogens, a True HEPA air purifier will be extremely good at its job. 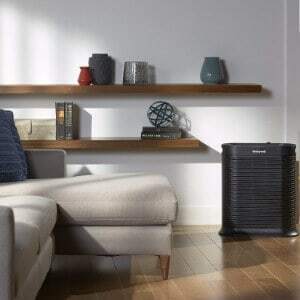 Purchasing a HEPA air purifier has benefits for household air quality, but it’s important to know what HEPA air purifiers are and are not capable of. For starters, HEPA filters are extremely effective at removing airborne allergens, and at maintaining a high level of indoor air quality (IAQ). Even if allergies are not a concern, IAQ should be. The EPA and NYS Department of Health are both very open about the risks of poor IAQ. Besides worsening the symptoms of those with asthma or other respiratory diseases, indoor air pollution can cause short-term lung irritation, or even contribute to the development of chronic bronchitis. A more detailed description of specific indoor air pollutants can be found here. Biological Agents: This broad category includes everything from pet hair to mold/mildew to bacteria, and is often simply the result of normal human activity. Asbestos/Building Materials: Asbestos and other similar materials, often found in the structure of older homes, are massive risks for cancer and mesothelioma. Tobacco Smoke: In addition to tobacco smoke and the various carcinogens it contains, secondhand smoke is a major health risk for children and infants. Heating/Cooking: Fireplaces, space heaters, and cooking with oil all release indoor pollutants, namely carbon monoxide and radon. Radon: Radon is a fairly common radioactive particle. Besides any radon released by combustion, radon can be found in almost all U.S. homes. While normally present in small amounts, high radon levels are linked to lung cancer. In short, HEPA filters are an easy choice to reliably eliminate multiple allergens, as well as asbestos particles. Won’t a HEPA Filter Trap Smoke? One last word: though HEPA filters trap most particles from the Biological Agents category, they will not trap airborne bacteria or viruses- see Different Filter Types for effective UV light filtration. As we’ve discussed here, HEPA filters do a lot of things well, but they fall short in some areas. The range of auxiliary filters here are designed to master the tasks that a HEPA filter can’t. Activated Carbon Filters: These are designed to trap gases and absorb odors. The downside is that they are expensive and need to be changed a lot, sometimes as often as monthly. Charged Media Filters: Static electricity makes particles stick to this filter. They are extremely effective but need to be replaced often. Electrostatic Precipitators: Particles are precipitated (think rain or precipitation falling from the sky) into a collection pan. Though efficient and quiet, they are not very popular as they need constant air flow to work. Ion/Ozone Generators: Charged particles destroy any little pathogens lurking in the air. The downside is that they emit ozone, a lung irritant. Antibacterial Filters: Installing a UV lamp in tandem with an air purifier effectively kills bacteria and viruses, making up for a critical weakness of HEPA air filters. Instead of buying multiple air purifiers for separate rooms, it is possible to modify a home HVAC system for air purification. Though this centralizes the process and frees up space around the house, HVAC systems are not initially designed for air purification, and HEPA filters can interfere with the ability of the HVAC to actually heat and cool. Replacement filter-based filtration- This system relies on a large filter installed at the furnace, with small filters at each return air grille. However, with only 2-3 return air ducts in an average household, air purification will be a long and tedious process, requiring the HVAC to run much more frequently than usual. Duct-based filtration- This system, which consists of a replaceable filter occupying a section of air duct, is an imperfect marriage with HEPA filtration. More often than not, if a HEPA filter is installed in a duct, the HVAC system will have to be completely refitted with a more powerful blower. There are several variables to consider when it comes to installing a HEPA air purifier in the home, though a select few are crucial to consider. Most True HEPA brands are independently tested and given a CADR rating, which represents the amount of clean air flowing from the air purifier. The higher the rating, the more square footage it can adequately cover (assuming an 8ft ceiling). Be aware that this changes based on manual user settings, such as air change rate (how fast the purifier replaces all the air in the space). A handy chart with maximum square footage for various combinations of CADR rating and air change rate can be found here. HEPA air purifiers are usually given a decibel rating, which varies between products. The most powerful purifiers generally average around 60 dB, which is about equivalent to normal conversation volume. Quieter purifiers can reach as low as 25-30 dB- this can be a meaningful difference in a bedroom, but any noise reduction will sacrifice filtering power. The true cost of operating an air purifier is dependent on two things- replacing the filter and energy costs. Most high quality HEPA filters are not permanent, meaning that they must be replaced every few months. From the cost of the required HEPA filter and the frequency of its replacement comes the cost of filtration. The only additional expense comes from the energy drawn by the purifier. For all-around performance, our top choice is the Honeywell True HEPA Allergen Remover. Reliable True HEPA filtration is only the first of the many upsides of this air purifier. A carbon pre-filter helps trap odors as well as allergens. Additional features include an auto shut-off timer and a “turbo mode” for maximum air circulation. 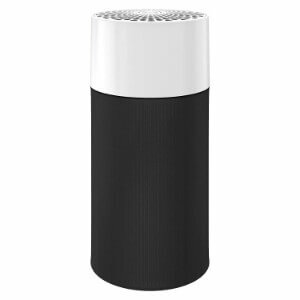 This air purifier can do it all- it’s capable of removing allergens and odors from almost any size room, and it has multiple user-friendly features. Operating costs are not the cheapest, but the versatility and effectiveness of this Honeywell model are unmatched. 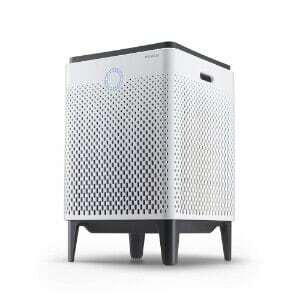 For unbeatable value, we recommend the Blue Pure 411 Air Purifier. Designed for performing in small spaces, this air purifier sacrifices power in order to be a quiet performer and easy on the pocket book. One of the least expensive air purifiers on the market (with cost-effective replacement filters as well). Energy efficient- can operate for 5 years on <$200. Though 99% effective according to the manufacturer, does not meet “True HEPA” standards. Despite the bargain, this air purifier is more than worth the money- it is extremely effective at cleaning small spaces. A compact design and quiet operation makes it viable for use in bedrooms and other personal spaces. For filtering the largest square footage possible, our choice is the AIRMEGA 400 Air Purifier. Though expensive, it is able to improve air quality quickly and quietly. Powerful filtering in large rooms- effective up to 1560 sq. 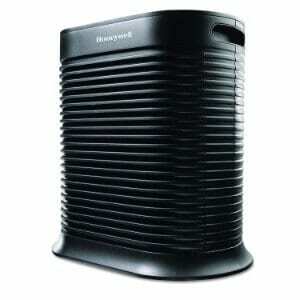 ft.
For a higher starting price, this air purifier covers large areas quickly, without a large increase in noise level. Automatic operating features that adjust to the surroundings are also a plus. If odor elimination is your chief concern, your best bet is the Austin Air HM-400. It boasts a 15-pound filter specifically designed to trap odor-causing compounds. Expensive filter replacements make for high operating costs. This model performs well in its niche- trapping odors far better than HEPA or activated carbon filters alone. To achieve this, it ends up heavier and costlier than most other filters on the market, so it should only be considered if odors are your chief concern. Whole House HEPA Purifiers are a possible way to centralize air filtration in the home and eliminate scattered portable units, but adding HEPA filtration to an existing HVAC system is a difficult process with minimal gains. “Whole House” HEPA filtration requires massive HVAC upgrades and sacrifices heating/cooling, the original purpose of HVAC. No one air purifier is right for everyone. It is up to the consumer to prioritize, whether that means searching for the greatest coverage, quietest filtration, or greatest bargain.